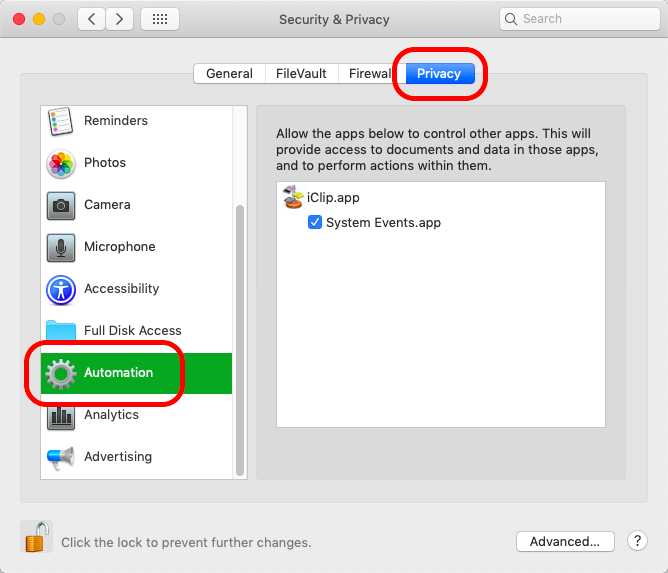 Starting with macOS Mojave, iClip requires additional permissions set by you, the user, so that Paste from iClip into any application works. 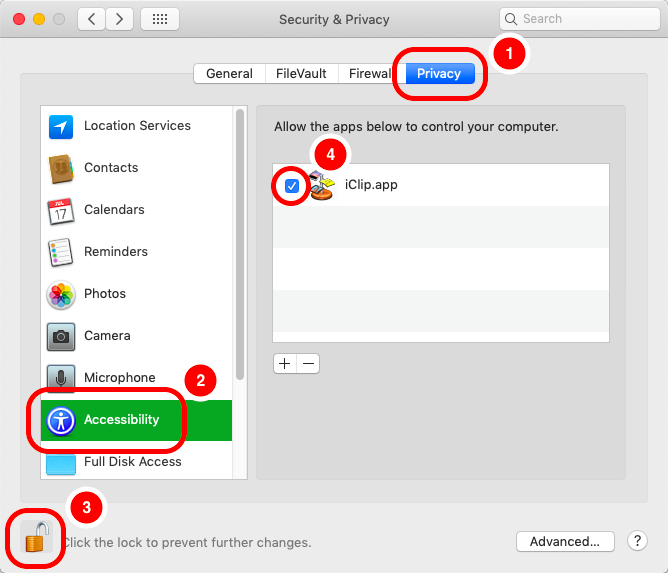 If this dialog appears, click Open System Preferences and continue with step Check the Privacy / Accessibility settings below. Once the Security & Privacy pane appears, click on the Privacy tab (see next step), then click Accessibility on the left. Make sure that iClip appears on the right and has a checkmark. If iClip is missing, use the + button to add it, or drag iClip from the Finder into the right pane. iClip may or may not appear as well under Automation. If it does, make sure that System Events.app has a checkmark.